Speaking of exciting things. I ran my first ever mud/obstacle run last weekend! 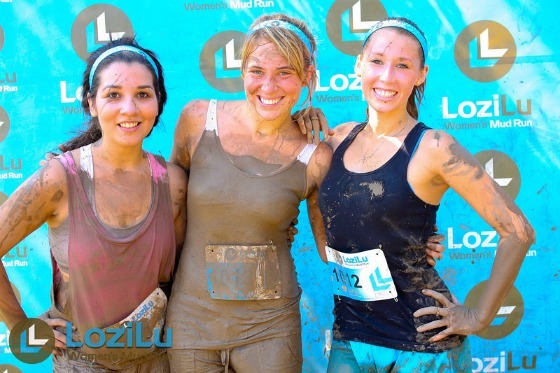 Two lady friends and I ran the LoziLu Women’s Mud Run on Saturday. The best part? 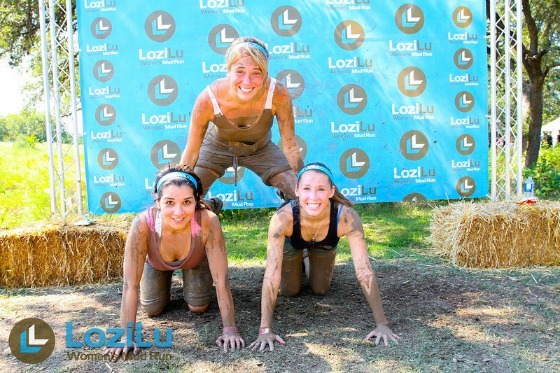 Because we signed up to volunteer after, we ran for free! Oh my goodness, it was a blast. We climbed up scary rope things, jumped off of high wooden things, slid under board things and swam through muddy pit things. 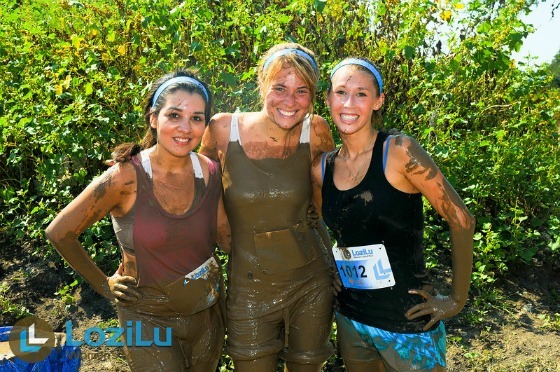 Being drenched in mud from head to toe was a new and invigorating experience. I highly recommend it. Even the volunteering afterwards was fun. It’s kind of hard not to have fun when with a couple of your most cherished girl friends. Giggles and good times will ensue even– or especially– whilst walking three miles (after running three miles), taking down equipment, chatting about everything and nothing and maybe also getting slightly lost in the process. We may or may not have hitched a ride on a go-kart to take us back to our familiar surroundings. 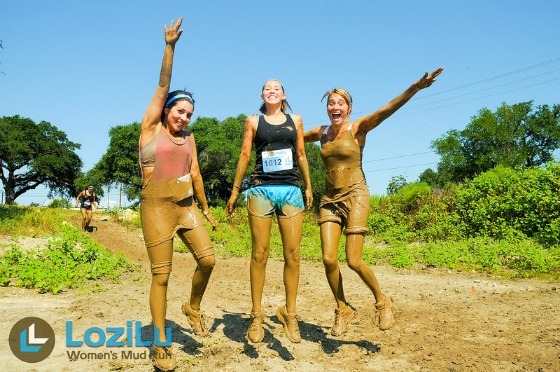 Needless to say, it was an amazing, muddy day spent with wonderful, muddy ladies. Many muddy, lovely memories were made. Hey, full plate. Come at me, bro. I’ll throw mud at you if you don’t cooperate. Those pictures are awesome! That looks like so much fun!!! Wow sounds like an amazing event! 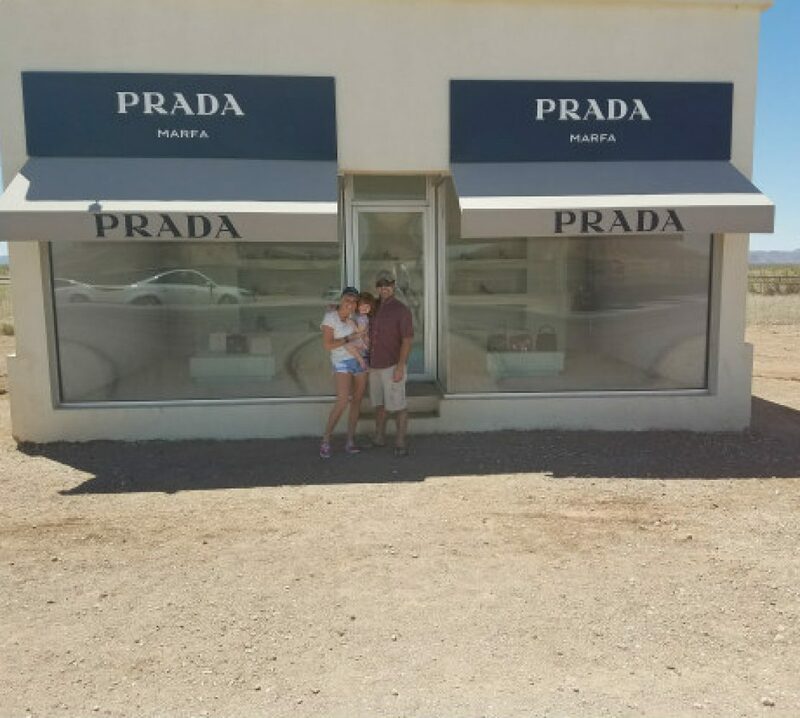 You’re such an inspiring person Christina 🙂 I’m glad you had such a fantastic time, the pictures are brilliant! LOVE IT! Barely got to see this blog, had such a good time. love you! I will be there with bells on! Okay, maybe I’ll leave the bells at home, but I’ll definitely bring a few giirfrlends! BTW- I have a few items I could sell, but I don’t think I have enough for a whole table. Hmmm, maybe I can find a girlfriend who’d like to share a table. Will there be a fee for a table? Or will it be BYOT? I have HAD MRS for 4 years. Anyone that thinks it is a game its is one of the worst thing any man or woman can go thgruoh.I have been fighting it since July 2006 and its not fun.Im always sick or taking meds for it.I have took Doxycline 4 months and still takeing it today.I have been in the hospital 4 times for meds thgruoh IV.II will just be glad when i can say im cured and can live my life of no worry or same or scared to go around my family,or my grand children.I have grandkids im scared to go around cause im scared they may get it from me and i couldnt live knowing i gave it to anyone else.Im waiting for my plastic surgery real soon.This is to get all my scares gone or faded to where people cant see them.GOOD LUCK TO ALL, JUST BE CAREFULL,AND GOD WILL SHOW USE ALL THE WAY TO FREEDOM FROM THE DEVILS WORK.We can’t even get GREENVILLE,SOUTH CAROLINA face that i wasnt sick when i was there.They want to put the blame on others.This is so stupid that its funny.I think they should have left the infected people where they where instead of putting them where we all where that didnt have it.Then alot of others wouldnt have got it or died from catching it in there jail.They need to face the real picture it was there fault and no ones else.They may need to start testing everyone they arrest,plus put them in icealation for 72 to 106 hours before putting them with the well jailers or inmates.